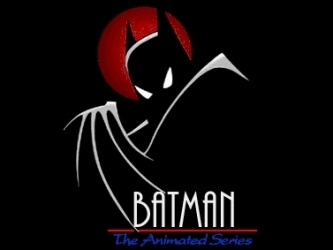 I always thought that Batman The Animated Series was the BEST Batman series ever produced and nothing has come close yet. The voice acting was superior, the story was nice and dark, and not cheesy and childish like they do with newer versions. It also didn't use Robin much, which helped it in my opinion. 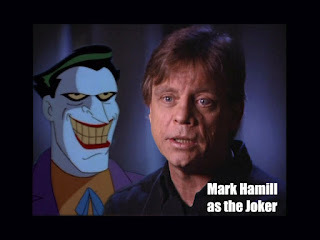 The other greatest thing that Batman TAS had...Mark Hamill as the Joker. He is probably the greatest voice for the Joker I have ever heard. The evil joker laugh is by far the best also. Anyone who doesn't think that Mark Hamill did the Best Joker voice is probably deaf, or close to it. 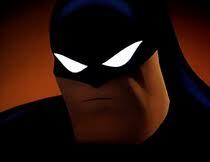 I've seen mostly all of the Batman animated movies. The best one, IMO, was Mask Of The Phantasm. It used the same artwork as TAS and voice acting. Under The Red Hood, was good, but something about the voices just didn't work for me. Probably because I was so used to the voices of TAS. Oh well. The other great Batman animated movie, was Return Of The Joker. 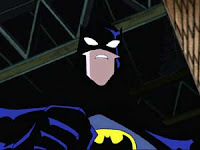 It's from Batman Beyond, but it had flash back scenes to TAS version of Batman and The Joker. If you haven't seen it, there are two versions. You want the unedited one...and I won't say why so not to ruin it if you do decide to see it. But it was sufficiently dark...very dark in fact. Which is why it was edited before being shown on TV. The one animated movie I didn't see, is the Subzero movie. I heard bad reviews of it, not that that would stop me from seeing it. I just haven't. I think I have seen scenes from it though. It didn't seem very dark to me. I think I just like dark movies though...and by dark, I don't necessarily mean brightness. I mean, dark like Fight Club, or Donnie Darko. As far as newer versions of the animated Batman, they try to make it more "kid friendly". Batman is NOT kid friendly. Well, it's perfectly fine I think, but it shouldn't be made that way. They draw it like its a Pokemon anime, add lots of stupid jokes, and avoid anything that makes Batman Batman. If you have seen any of the newer ones, and they are not like that, let me know. Better than most of the films. I agree, this is a great series. I wasn't a big fan of the style at first and still think it was a bit of a cop out (an attempt to keep line weight down) but I still liked it better than any of the movies. i like that it had a dark theme to it, as it should be since he is after all batman.